Nature’s page has turned in Colorado as the nearly non-existent winter has ended and spring is finally upon us. The sun is getting warmer, the grass is growing greener, and the summer music season is fast approaching. Luckily, our particular Coloradan demographic attracts a diverse and consistent influx of gifted acts all year. 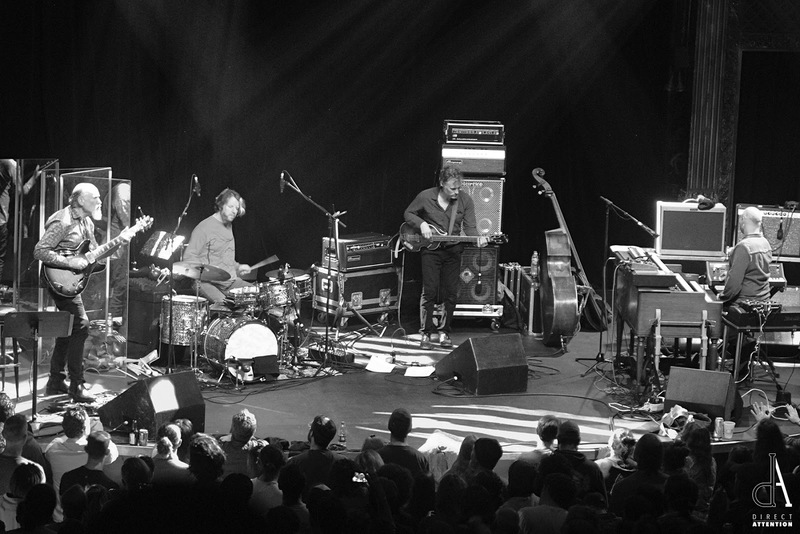 This weekend, connoisseurs of quality soundwaves were out in full force to support the creative powerhouse that is Medeski, Scofield, Martin, and Wood at Denver’s humble and intimate Ogden Theater. Those of us who have frequented The Ogden appreciate the variety of settings the venue can play host to. Some nights at this Denver staple, you have a breadth of room to boogie, others you’re participating in a standing dogpile and marinating in spilled beer. Virtually every night I’ve spent at the Ogden included me peeling my feet off of the floor once the film of alcohol congealed into wook glue. Medeski, Scofield, Martin, and Wood attracted a more mature crowd, and despite the inevitability of spilled drinks and a full house, everyone had room to groove. Each member of this jazz juggernaut hails from a celebrated background. John Medeski with his magical keyboards is a pioneer of the New York Acid Jazz movement of the 90s’, and is a frequent guest of Phil Lesh and Friends and the Trey Anastasio Band. John Scofield, jazz guitar powerhouse and welcomed addition to MMW, has had the pleasure of sharing the stage with jazz royalty Charles Mingus and Miles Davis. 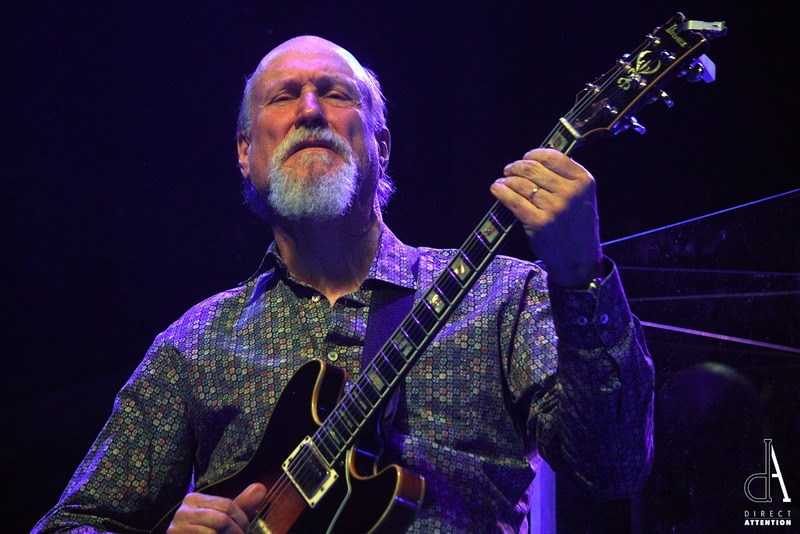 The combination of Scofield and Medeski, Martin, and Wood is a gift that keeps on giving; their original alliance appears on Scofield's album A Go Go (1997). Billy Martin is another collaborative whiz kid, adding eclectic percussive flair to a variety of avant-garde jazz assemblages, notably The Lounge Lizards. Rounding out the foursome is Chris Wood, a bass savant and Boulder native. When Wood isn't touring with these master musicians, he can probably be found playing with his brother Oliver in their folk group, The Wood Brothers. The quartet sauntered onstage to meet the exuberant cheers of a full house. Their presence alone evoked a rumble of glee and anticipation for the musical journey to come. The group dropped into a poignant, pungent set of musical exploration. As Medeski initiated a departure from song structure, the other members of the quartet studied his notes, furiously weaving an intricate tapestry of musical improvisation. These musical wizards could not be stifled, even by Chris Wood's blown speaker stack. While Wood sorted out his technical difficulties, Martin opened the door to the avant-garde, using percussive instruments to take audience members on a magic carpet ride to an alternate dimension. Medeski, Scofield, Martin, and Wood cultivate musical experiences as strange and natural as the moon lingering over the mountains in the morning. This quartet of Olympian proportion is not a group to on. A mixture of playfulness and professionalism, experimentation and theory, these men are continuing the tradition and evolution of jazz in the 21st century.